Falkirk's strategic location, midway between Edinburgh and Glasgow at the crossroads of lowland Scotland, has been the main influence on the town's development and has contributed to its key role in Scotland's history. The Romans were the first to make a significant mark on the district, William Wallace and Bonnie Prince Charlie fought the English nearby, cattle were driven from all over Scotland to the great trysts in the area, central Scotland's canals came together at Camelon, and local foundries fuelled the Industrial Revolution. 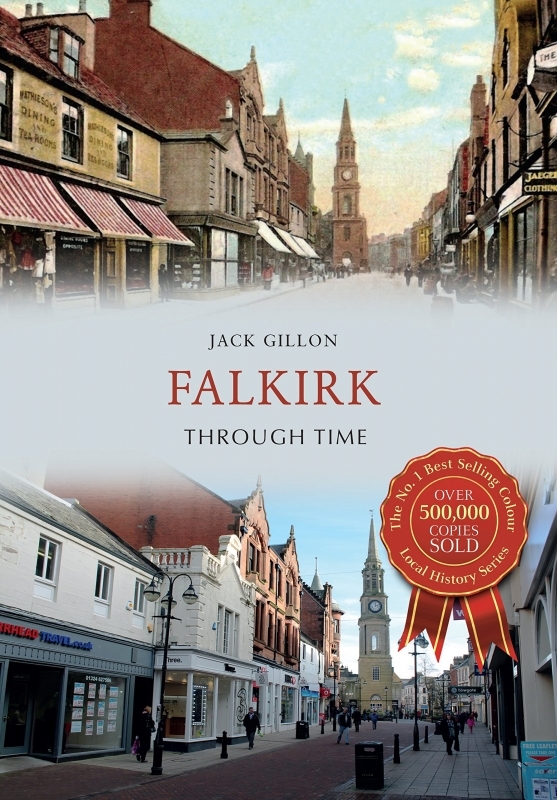 Using old images juxtaposed with modern photography, in Falkirk Through Time author Jack Gillon explores how the town has changed and developed over the years. Today Falkirk has a bustling town centre focused on its pedestrianised High Street and boasts popular tourist attractions such as the new Helix Park, Falkirk Wheel and the breathtaking Kelpie statues, all of which complement and build upon its industrial heritage.